Colin Green Photography: Calder & Hebble Navigation. Sowerby Bridge Wharf to Chain Bridge. Calder & Hebble Navigation. Sowerby Bridge Wharf to Chain Bridge. Over the next few weeks I will be posting the pictures amongst others that I have taken along the Calder & Hebble Navigation Canal. I have walked it a number of times with my camera on the stretch from Sowerby Bridge to Brighouse. I have also walked the length from Saville Town (Dewsbury) to Brighouse less frequently. The canal runs through West Yorkshire from Sowerby Bridge Wharf where it connects with the Rochdale Canal to Fall Ings, Wakefield where it joins the Aire and Calder Navigation. 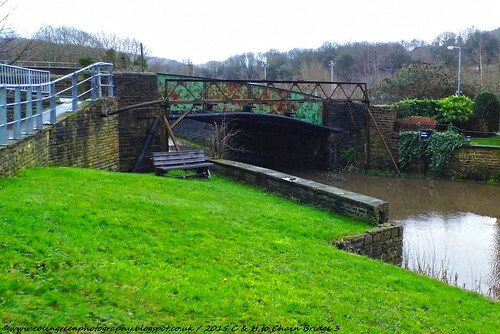 This set of pictures were taken from Sowerby Bridge Wharf to Chain Bridge. Chain Bridge is the first bridge over the canal carrying Chapel Lane and connecting with Gas Works Road, Sowerby Bridge. The distance is approx. 1.25 furlongs (0.15 mile - 0.25km) and during this stretch the canal connects with the Rochdale Canal at the Kirkham Turn. There are 47 pictures available to view on Flickr in the album above taken on this short stretch. 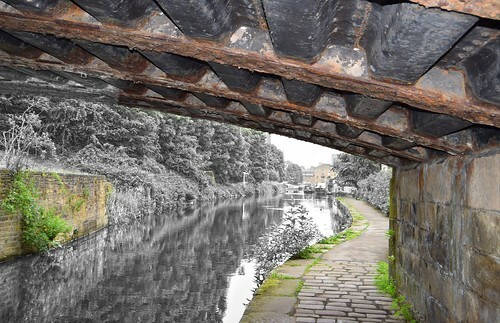 There is an additional album of pictures taken along the canal from here to Dewsbury available to view exclusively on Clickasnap via the link below. Pictures from The Calder & Hebble Navigation Canal. This is updated regularly and each view of over 10 seconds helps support my blog and photography. A small selection of pictures featured in the Flickr album. I took this in June 2016 from underneath Chain Bridge looking towards Sowerby Bridge Wharf. I then removed sections of the colour and reversed the picture to give a different appeal. Taken using a Polaroid iS2132 bride camera on the 26th December 2015. 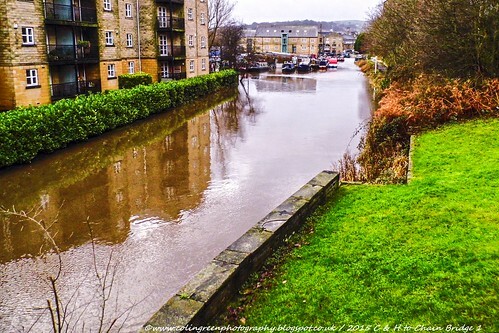 Th canal had overflowed that day as flooding hit Sowerby Bridge and the Calder Valley. The boats to the right of the picture show where the canal bank actually is. I took this in October 2017 from Chain Bridge. It shows the canal wharf at Sowerby Bridge and just beyond the white narrowboat is the Kirkham Turn where the Calder & Hebble and the Rochdale Canal meet. I took this using a Nikon d3300 SLR camera in October 2017. 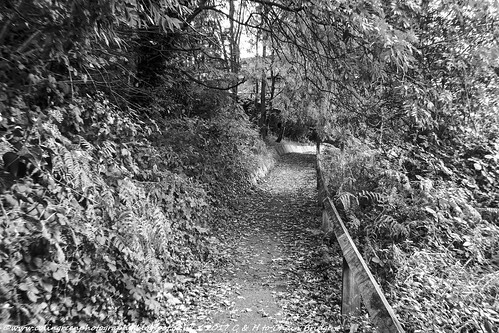 The path leads through the trees alongside the Calder & Hebble Navigation canal from Sowerby Bridge Wharf to Chain Bridge. This was taken just before the bridge and Navigation Inn. Chain Bridge taken using a Polaroid iS2132 bridge camera on the 26th December 2015. The canal had burst it's bank that day as the devastating Boxing Day floods hit the Calder Valley and you can see the water overflowing the towpath under the bridge. The worlds largest free to se, paid per view photography sharing site. The video sharing site. I occasionally put up slideshows or short driving videos there. This slideshow video from YouTube features all the pictures taken around the Calder & Hebble, Rochdale Canal and canal wharf from the basin to the bridge.